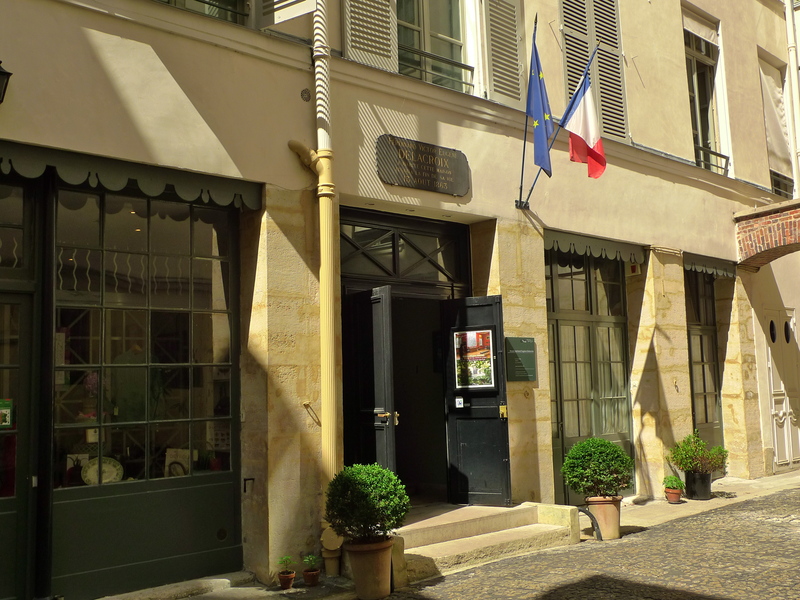 TUCKED AWAY IN A little courtyard just off the rue de Furstenberg in the 6th arrondissement is the Musée National Eugène Delacroix or the Musée Delacroix as it’s usually known. The museum is quite an intimate place housed as it is in what was Delacroix’s apartment where he spent the last six years of his life from December 1857 until his death in August 1863. He moved here because it was conveniently close to the Eglise Saint-Sulpice where, despite his failing health, he was working on his frescos in the Chapelle des Saints-Anges. 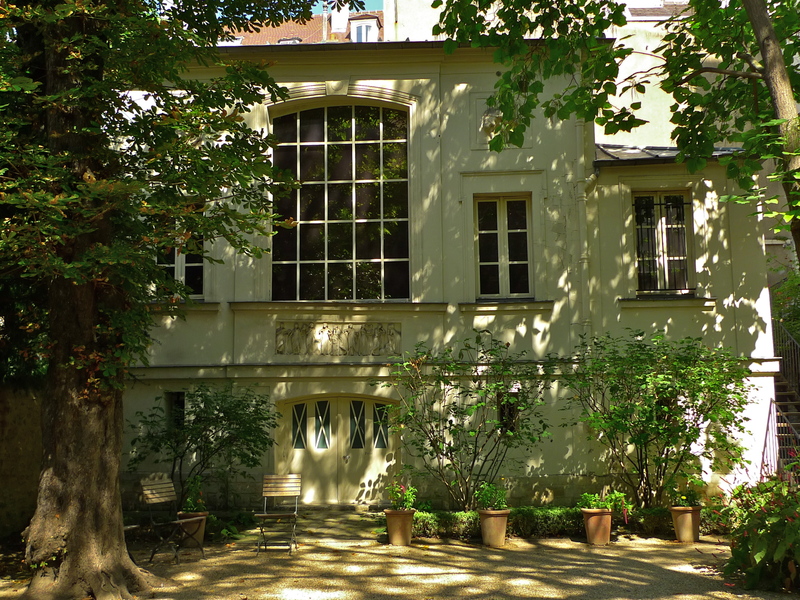 After Delacroix’s death, the apartment was let to various tenants until it was suggested that the studio should be demolished to make way for a garage. It was then that the Société des Amis d’Eugène Delacroix was formed to prevent the destruction of the studio and to provide for and maintain the premises and to promote Delacroix’s work. 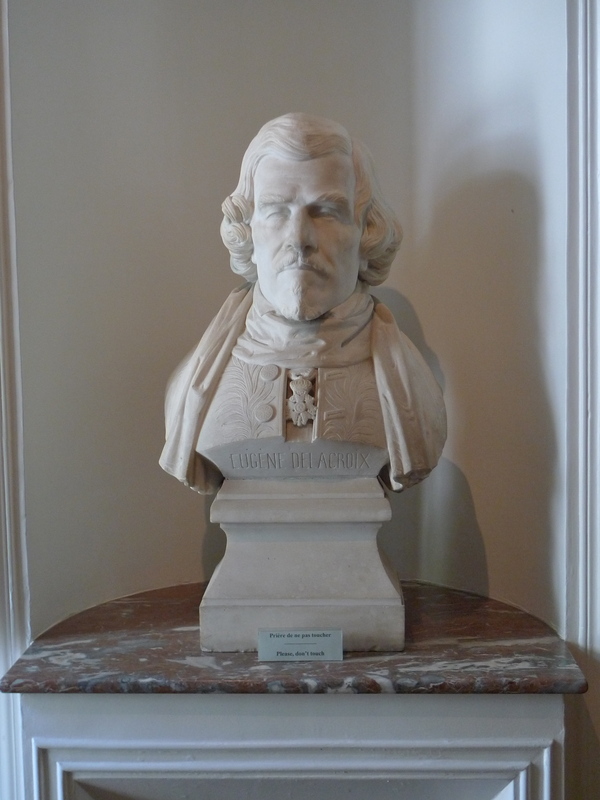 In 1952, the building was put up for sale and the society, unable to acquire the premises, gave its collection to the French State in order to secure it and to create a museum which eventually became the Eugène Delacroix National Museum. The Museum’s collection is displayed in both Delacroix’s apartment and in his studio and it comprises paintings, drawings, lithographs, autograph works, and some personal objects, including some magnificent souvenirs of his trip to Morocco in 1832. 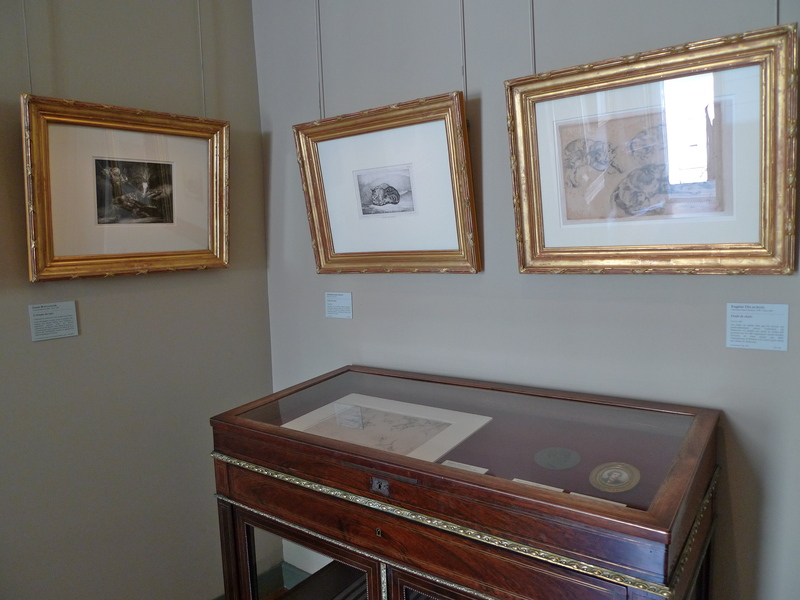 Some works by his friends, Paul Huet, Léon Riesener, and Richard Parkes Bonington, are also featured. The collection is regularly added to with new works acquired through the combined efforts of the Louvre and the Société des Amis du Musée Eugène-Delacroix. I made this visit to the museum on a beautiful summer’s day. There were some other people there as well but I was lucky enough to have the studio and the garden practically to myself. While sitting in the garden I could quite see why Delacroix found this such a delightful place. I walked from the garden up the wooden steps to the near empty studio and I was fascinated by the sounds and the seemingly extra loud click of my camera as I took the photographs for this blog. 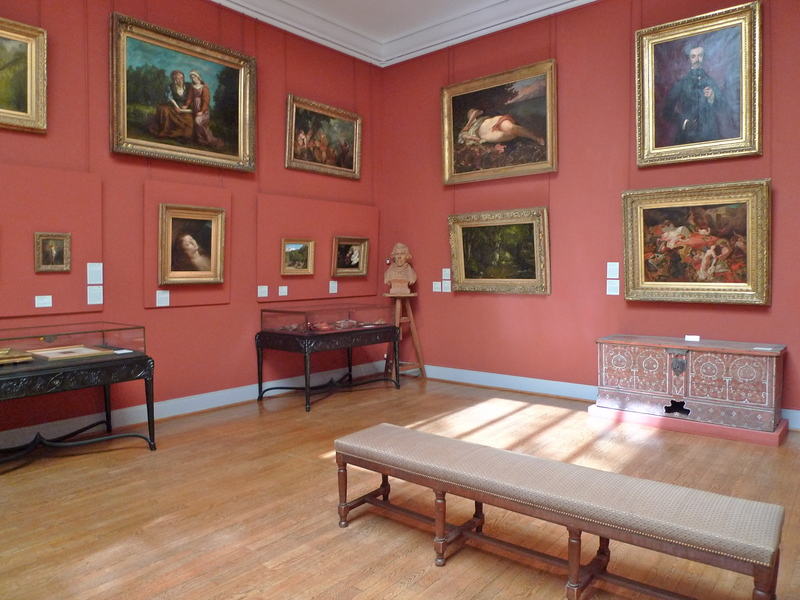 The Musée Delacroix really is a delightful place and it’s well worth a visit. The museum is open daily except Tuesday, 9:30 am to 5 pm. Closed on January 1, May 1 and December 25. 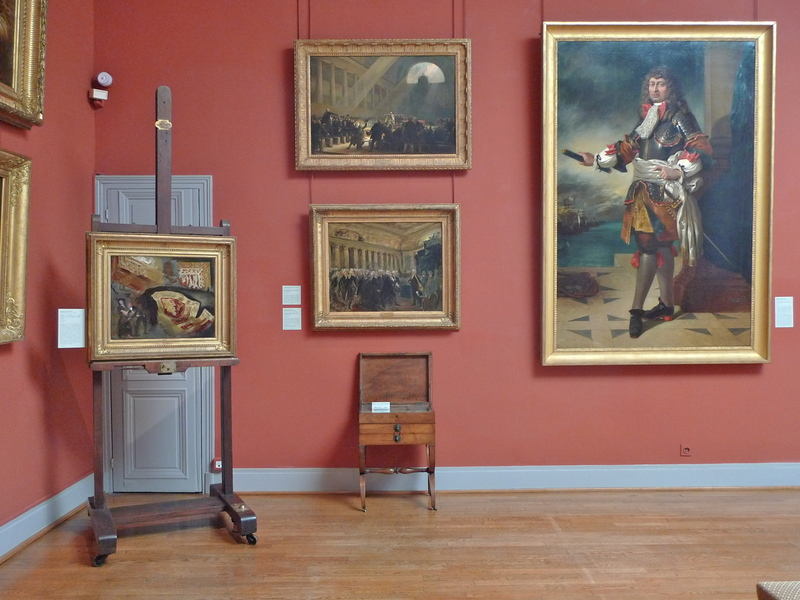 Amazing to think that the space of an artist such as Delacroix was almost turned into a garage. Those old wooden floors and gravel courtyards, their sounds just can’t be beaten. Nice work on what looks like a nice day out. Thanks Jay. I stumbled across the work of Delacroix many, many years ago and instantly fell in love with it and so this museum is rather a special place for me. I return to it often. One of the rooms in the museum is actually the bedroom in which Delacroix died. His studio is fascinating. It has the obligatory large, north-facing window through which swathes of light bathe the wooden floor. Every time I go into this studio I listen to the sounds of the wooden floor and reflect that these are exactly the same sounds that Delacroix himself heard and that reminds me that collecting sounds like this is really important.